Scotland's sporting traditions are legendary worldwide and our impact on the world of sport is truly massive. We can lay claim to the invention, or early development, of a number of the most popular international sports - including football, golf, hockey, rugby and tennis. Other sports are also rooted in Scotland's history books and play a massive part in the cultural makeup of our country. 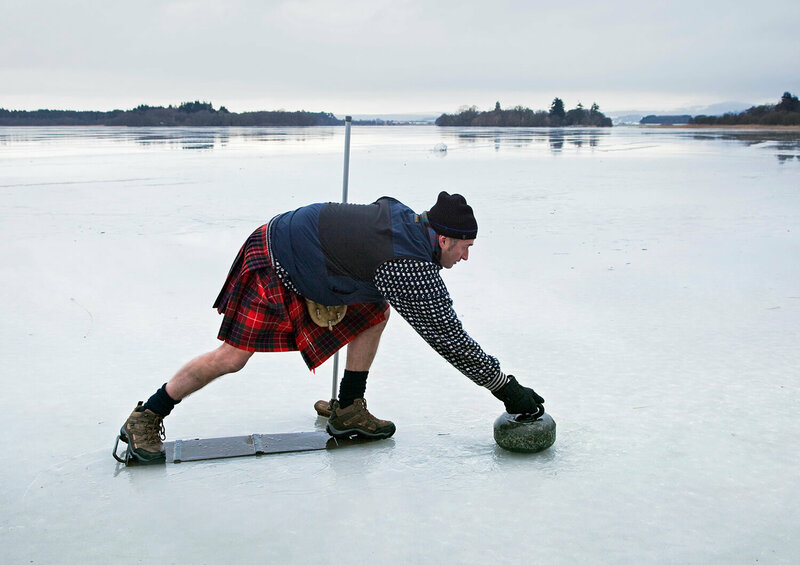 Sports such as shinty, curling, and, of course, the unique Scottish Highland Games provide a wonderfully traditional activity for those looking for something a little different. There's also a wealth of opportunities for Scotland's people to become involved in sports. State-of-the-art facilities, such as at the Edinburgh International Climbing Arena at Ratho; a wide variety of dry slope and real snow ski centres, world-acclaimed mountain biking trails, excellent athletics complexes and a National Sailing Centre all combine to provide a sporting environment to rival many countries worldwide. When you think of Scottish tennis one family immediately springs to mind: the Murrays. However, the Scottish connection with tennis dates back long before Judy Murray sent her two sons, Andy and Jamie, onto the practice courts. In fact, tennis in Scotland can be traced all the way back to 1539, when King James V had some of the first tennis courts built at his Fife residence, Falkland Palace. Today these courts are the oldest real tennis courts still in use. The Royal Court took two years to complete and, with the exception of two major renovations since, the jeu quarr (square court) has remained relatively unchanged ever since. Mary Queen of Scots and James VI (James I of England) are believed to have played here and the court's rich history has made it a Mecca for tennis players and fans alike. Andy Murray is undoubtedly one of the modern game's greatest tennis stars. The man from Dunblane is the most successful tennis player in the history of the country, and is instantly recognisable on a global scale. Murray has spent time at the top of the rankings as the world's top tennis player and has won 45 career titles, including three Grand Slam titles and two Olympic singles gold medals. Murray was also an instrumental part of the British team who secured the 2015 Davis Cup for the first time since 1936, winning all 11 of his matches. The older brother of Andy, Jamie, may not be as well known, but he also has an impressive tennis resume. Jamie is predominantly a doubles tennis player and was previously ranked the number one doubles player in the world. Jamie has won an impressive 22 career titles, including five Grand Slam titles (three mixed doubles & two doubles) and was also part of the 2015 Davis Cup winning team alongside his brother. Football is, without question, the number one sport in Scotland and every great sport is not complete without a rivalry to match. Since the referee blew his whistle at the first international football match ever played, between Scotland and England in 1872, it's fair to say that there has been a healthy rivalry between our two nations. This landmark game, which was played on a cricket ground, was watched by some 4,000 spectators in Glasgow, with the game resulting in a respectable 0-0 draw. Since then our national team has played around the world, supported by legions of special fans, known affectionately as the 'Tartan Army'. When they're not singing us to victory in their kilted attire, they are winning awards and raising money for charity. The home ground of Scottish football is Hampden Park in Glasgow. A stadium which has witnessed some of football's most significant moments, and set the stage for Bruce Springsteen, Bon Jovi and U2. Not forgetting the spectacular opening ceremony at the Glasgow 2014 Commonwealth Games. Hampden also holds the European record for attendance at an international game: 149,415 people at a, you guessed it, Scotland V England match in 1937. Nowadays the capacity is a much more manageable 55,000 - but the excitement on a big match day is every bit as momentous. Golf has been played in Scotland for more than six centuries. We're not just the 'Home of Golf', but the birthplace too. The first courses, clubs - even rules - were established here, so it's hardly surprising that it's one of our national pastimes. In Scotland golf belongs to one and all. You don't have to be rich or famous to take to the green. Everyone is welcome to play on our courses - and our scenery is just as spectacular regardless of your ability. Golf was our gift to the world and there can surely be no finer place on earth to play a round than where it all began. Our glorious land boasts over 550 courses. We'll leave the tricky decision of where to tee-off first to you. The Old Course at St Andrews is thought to be oldest in the world. It was here in 1764 that the 18-hole layout was devised. Today it is the proud home of the Open Championships, which it currently hosts every five years, much to the delight of many. Bobby Jones said that if he was only allowed to play one course in the world for the rest of his life, it would be the Old Course at St Andrews. Tiger Woods famously proclaimed this to be his favourite course in the world. But it's not just the masters who have been seduced by this most iconic of courses. For golfers worldwide, the Old Course at St Andrews is the ultimate pilgrimage. This is a place where mere mortals can walk – and play - in the footsteps of golf's greatest. And, if they're lucky, perhaps channel their skill. One of the greatest Scottish golfers of all time, Sandy Lyle was competing internationally when he was just 14, and was a prolific winner years before he turned pro in 1977. The first Brit to win the Masters Tournament (he famously hit from the bunker on the last to set up his triumphant birdie) Sandy went on to win 18 European Tours and was inaugurated into the World Golf Hall of Fame in 2012. Or Monty, to his friends (and fans) is consistently ranked among the world's best golfers and is one of Britain's most admired sportsmen. Montgomerie turned professional in 1987 and since then has notched up 41 tournament victories around the world. In 2013 was inaugurated into the World Golf Hall of Fame. Scottish Rugby has a long and rich history, which perhaps surprisingly, isn't dissimilar to that of football. Both rugby and football internationals were first played in Scotland. Both were Scotland V England. And both took place on a cricket ground. Since Scotland took on England in Edinburgh in 1871 there has been keen rivalry between our two national teams. Each year we compete for the Calcutta Cup, a tradition that has been held every year since 1879, with the exception of both World Wars. The home of Scottish rugby is the BT Murrayfield Stadium, one of the great sporting stadia of the world, and the largest sports venue in Scotland. Tours run both on and off season, but if you want to experience the real Murrayfield there's nothing to beat taking in a game. Face paint is optional, but our Scottish Saltire flag looks great on anyone. Scotland's rugby team competes in the annual Six Nations Championship and has competed in every Rugby World Cup. Our team is currently ranked 6th in the Top 25 IRB World Rankings* and have had Grand Slam winning seasons three times. Scotland is a cyclist's paradise. There's so much to explore; historic towns, idyllic villages, mile after mile of beautiful countryside and breath-taking coastline. And some of the most spectacular scenery in the world. And this rugged landscape is perfect for mountain biking too. 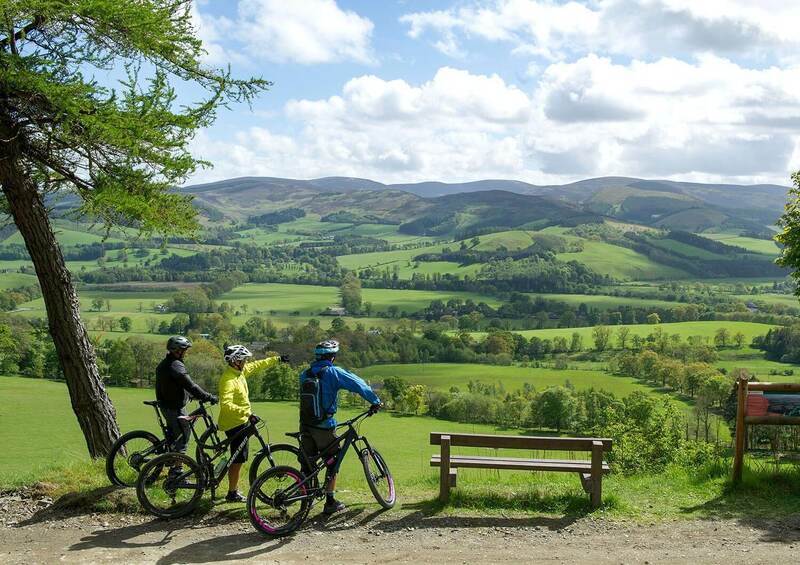 It was perhaps our scenery - the rolling hills of Dumfries and Galloway, to be precise - that inspired local blacksmith, Kilpatrick MacMillan, to produce the world's first bicycle back in 1839. Granted, its rather basic form was far from the sleek cycles of today, but his wooden pedal-operated construction, was nevertheless the birth of the bike. And since Kilpatrick's first ever 'test-drive' (the 68-mile journey to Glasgow), there's been no stopping us. We've clocked up an outstanding record in track events and produced one of the sport's most outstanding (and much-loved) sportsmen of all time, Chris Hoy. Chris Hoy isn't just Scotland's most successful Olympian of all time, he's the most successful Olympic cyclist ever. The eleven-time world champion became the first British Olympian in 100 years to win three Golds in Beijing, 2008. And in 2012 he went on to take a further two Golds in London and set a world-record in the process. In recognition of his outstanding achievements, the velodrome in the new magnificent Emirates Arena built for Glasgow 2014 Commonwealth Games has been named the Sir Chris Hoy Velodrome in his honour. But let's not forget two other great Scots: John Macadam and John Boyd Dunlop who pioneered smooth 'tarmac' roads and rubber wheels, respectively. Thanks to their pioneering endeavours we can all enjoy a smoother ride. In 1541 notary John McQuhin wrote of a challenge that had taken place at Paisley Abbey between a monk and a relative of the abbot. Little did he know that their exchange of passing stones across the ice was the birth of a sport that would be played for centuries. Although curling didn't make its debut until the Winter Games in Chamonix in 1924, many parts of the world had been enjoying the sport for quite some time thanks to Scottish emigrants. Wherever they went, so too did curling. Scotland's strong presence in Canada saw the establishment of the Royal Montreal Curling Club in 1807, now the oldest sporting club in North America. The United States founded its first curling club in 1830 and before the century was out, Switzerland and Sweden were making the most of their perfect playing conditions. Today curling is played all over Europe, and has even spread to Australia, New Zealand, Japan and Korea. But it's our Canadian cousins who are really leading the way in the sport. Curling is an exciting game that requires absolute precision. Players use continuous movement from a long-handled brush to slide stones across the ice. The object is to get closest to the circular target. Scotland can lay claim to the birth of many popular sports, but as far as history goes it doesn't get any more fascinating than that of shinty. The origins of shinty date back to the 6th century when the techniques used for play (a keen eye and deft throw) were used to train ancient warriors in preparation for battle. The game might have been refined through the ages, but the determination to win is just as fierce. It's an exhilarating game to play – and watch – with league and cups fixtures running between spring and autumn. Two of the fiercest rivals are Kingussie and Newtomore; villages that lie just three miles apart in the magnificent Cairngorms National Park. When these teams play, tournaments are always fully charged. In all senses of the word! Kingussie was named by the Guinness Book of World Records as the sport's most successful sporting team of all time. Shinty is a fast, physical game where players have to score using a ball and stick. In men's shinty, there are 12 players on each team - including one goalkeeper. Each player uses a caman (a curved wooden stick) to hit the small leather ball used in play. A well-struck shinty ball can travel over speeds of 100 mph. Canadian favourite 'Ice Hockey' began life when the Scottish immigrant population of Nova Scotia adapted the game of shinty to be played on ice! First awarded in 1896, the Camanachd Cup is the most coveted of in the men's trophy events. For the women's teams, the Valerie Fraser Cup is the one to win. Finals for both cups take place in September each year.